One of the biggest hurdles leaders have is inspiring their downline to have top performance, even though they may not have as much skin in the game. That difficultly makes inspiring employees to feel a sense of ownership over their jobs a hot topic in the leadership world. We dove into a plethora of leadership books, speeches and quotes from proven leaders to get some advice on just how they inspire employees to take ownership of their work and ultimately become more productive, satisfied employees. This quote by Steve Jobs strongly applies to the hospitality field, our IT systems and physical rooms are the tools, but true vacation experiences are created by people. In this industry the people need to feel trusted and empowered to act, this will open them up to do great things. If employees walk around in fear that any out of the ordinary decision, they make will get them in trouble then they are more likely to not go above and beyond. However, trusted employees are more likely to step outside of the box and go the extra mile for customers. Zappos is famous for their customer service and with quotes like this it is understandable why. Why would an unhappy employee radiate joy and pride when they are at a place that does not make them feel pride and joy? The best way to start inspiring pride and joy? Walk around and see if employees look happy. Hold regular reviews where they are not just rated on their performance but asked what would make them enjoy their job more. You can’t make employees happy without getting their feedback and opinions. This quote says a lot – people crave responsibility and a feeling of being valued, but they can’t prove their value and ability to be responsible if they don’t understand the overall goal and plan. One of the best hospitality stories out there is of a stuffed animal lost at a resort. The simple thing would be to return it and call it a day. Instead, hotel staffers were empowered to use their time to pose the stuffed animal doing various vacation activities and give the child the stuffed animal back along with photos showcasing all the fun he had on his own vacation. This story has inspired other hotels and resorts to do similar things when kids lose something of value. Take a look at the employees of your resort, if they were taking photos of a stuffed animal would you trust they were doing something beneficial for customer experience or would they get yelled at for not attending to their “typical” job. Empower employees to set outside of the box as long as it fits your core values and they might surprise you. A popular quote and for good reason, especially in the hospitality industry. You can’t train someone to be friendly and customer service oriented, you can however train them to use computer programs and other technical skills. Covey makes a great point here that showcases a good question – how can we expect employees to take ownership of their work if it is only meeting their need for money and not meeting any other needs? Create workplaces where people feel they can thrive all around and their happiness will radiate through to their work. Hold social events, recognize outstanding efforts, inspire people to show their personalities and talk about the things that they are passionate about. While Hemingway isn’t the first person you think of when you think of “great leaders” this quote is a fantastic leadership quote. Most of the time people only listen long enough to think of what they are going to say next and how to respond, but if we truly listen completely we won’t be in our own heads thinking of what we are going to say, but instead truly listening to what that person is saying. As a leaders, it can be easy to just think of what you want to say and the point you want to get across, but if you step back and really listen, there’s a lot about the things going on in organizations and the people making things happen that can be discovered through the art of listening. This quote sums up so much about perceived leadership vs true leadership. 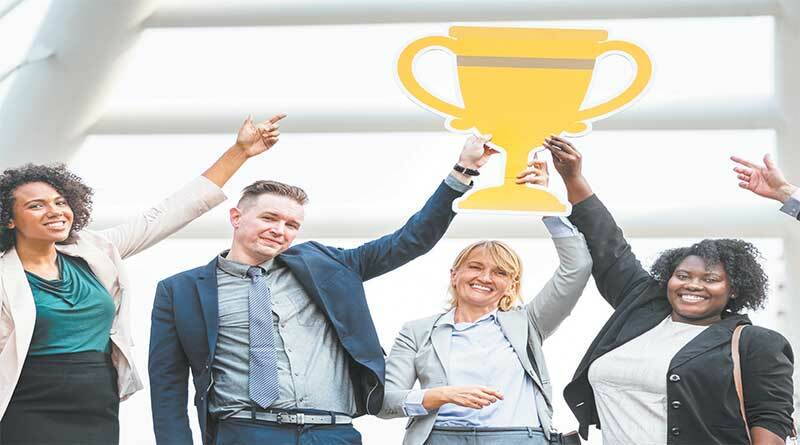 While a title may showcase a person’s personal accomplishments and status within an organization, levels of influence have so much more to do with leadership. This quote is so true in the hospitality business. There are so many items that go into a successful guest experience, from clean rooms to making sure tiny issues are fixed to major renovations and there’s no way a general manager could complete every task on their own. A great leader shares the work and also shares the credit.